Yearbook photos: everyone remembers them, and no one likes them. Not then, not the week after, and definitely not twenty years later when you see how goofy you truly looked back in the day. They do provide a good laugh, however, especially when that super weird kid in your class goes that extra, nerdy mile to make yearbook picture day that much more ridiculous. My first reaction when I saw the hilarious funny picture below was witnessing McLovin from Superbad for the first time in the movie theater; I was shocked, amazed, yet smiling the entire time. 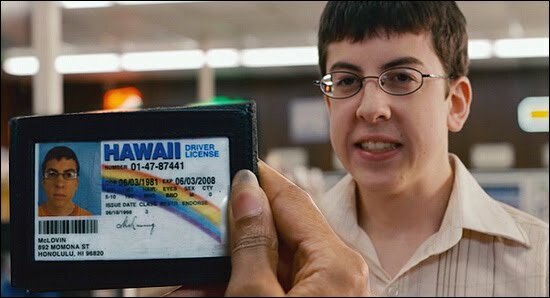 It was then I realized that it wasn’t actually Superbad which I thought of, but rather Christopher Mintz-Plasse from another great comedy, Role Models. Hit the link below and I guarantee you’ll have the same reaction.